It doesn’t matter whether you’re moving into a five-story mansion or an apartment on the fifth floor, relocation comes with more than its share of expense. Extra costs are the last thing you need – on top of the stress and anxiety caused by moving. Bekins wants to help ease the burden a bit by offering you tried-and-true suggestions for minimizing your moving costs. Here are some creative approaches to cut weight and costs from your upcoming move. Be sure to check to see if the same cable company services your new city before you move your satellite dish. Set a specific date for service discontinuation on a specific date. Request a final meter reading. Don’t forget to connect utilities in your destination city prior to your arrival. Otherwise, you might have to stay at a hotel until they’re connected. Unless charges are to be billed to your employer or the cost of moving has been charged to your personal credit card, payment by cash, certified check or money order is required at your destination. 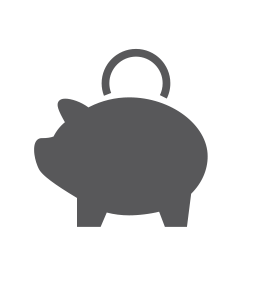 Read more about cost and payment. Professional packing is an added expense, but it often pays for itself in convenience and safety. We have the expertise and materials to protect your possessions. Even if you have the time and energy to pack, consider leaving your delicate or fragile items (china, glassware, silver, clocks, etc.) for the professionals. If you’re a determined do-it-yourselfer, do it right. Ask your local Bekins Agent about specially designed containers and materials. You can buy them at a minimum cost to assure maximum protection of your belongings. Contact a professional or ask your local Bekins agent to arrange service for you. The two go together. Your possessions are worth as much in transit as they are in your home. Make sure they’re insured accordingly. Talk to your insurance agent if you have any questions. Your Bekins agent will be glad to give you a complete inventory form. It can save you money moving – and afterward. The ideal time to prepare this inventory is while you organize for your move. List your possessions and their approximate value. Photograph or videotape your items room by room. You’ll probably be amazed what your possessions are really worth. Keep your completed inventory in a safe place. If you have extensive household damage in the future, you can establish accurate, comprehensive insurance claims. Be precise and thorough when you show your Bekins agent what is to be moved, and what, if anything, is not to be moved. Canvass everything from the attic to the basement. The more thorough you are, the more accurate your estimate will be. 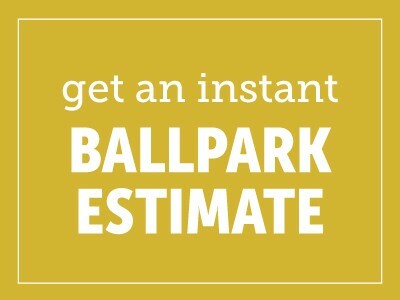 In fact, your best bet is to request a free, in-home estimate. It’s a good idea to compare movers. You’ll find that Bekins Van Lines has one of the best records in the moving industry for estimating accuracy as well as on-time pickup and delivery. At Bekins Van Lines, most of our moves come to us as repeats or referrals. We are proud of this fact, and strive to perform our services in a way which gives our customers the confidence to recommend us to their friends and colleagues.